JDC - Archives : A child eating in the Feldafing Children's home. Search > Search Results > A child eating in the Feldafing Children's home. Title A child eating in the Feldafing Children's home. 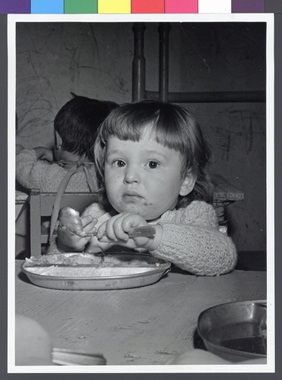 Description One of the 30 Jewish refugee children eating at the Feldafing Children's home, near Munich.